It's a known fact that being a grown-up bites the big one. For starters, you have to pay taxes. But there's also no more summer camp. 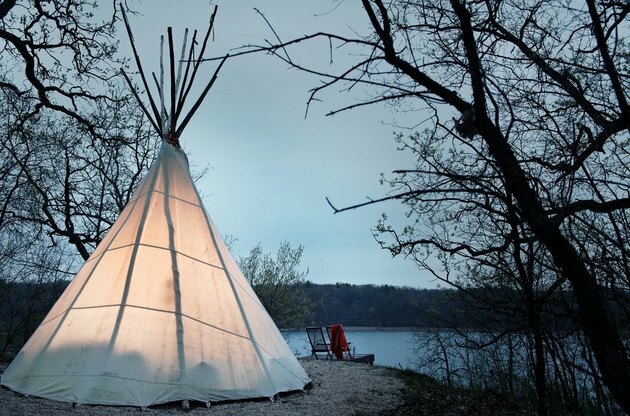 Thankfully, there's a place that lets you relive your best childhood memories — Camp Wandawega, an idyllic lakeside property in Wisconsin filled with teepees, felt pendants and yes, even an archery range. Co-founded by husband and wife team Tereasa Surratt and David Hernandez, Wandawega is a nostalgic collaboration that draws on Hernandez's memories of attending camp on the very same property as a kid and Surratt's experience as a designer. 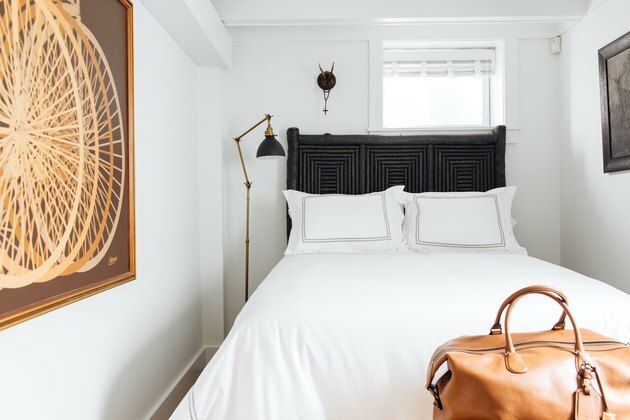 The assortment of cabins and bunkhouses (bookable via Airbnb) have that vintage, rustic feeling ("Our 'no-frills' vibe is part of our charm, but it's not for everyone," the site warns), but Surratt has approached each space with a thoughtful, curated eye. "My sourcing is really as local as I can make it," she says. "Flea markets, barn sales, and thrift stores." Hill House, the camp's newest addition, does take things up a notch, though. "It breaks the mold of everything we've done before," explains Surratt. The spacious, colonial-esque home boasts espresso and metal finishes, subway tiling, and contemporary lighting. "It's a modern look," Surratt says. 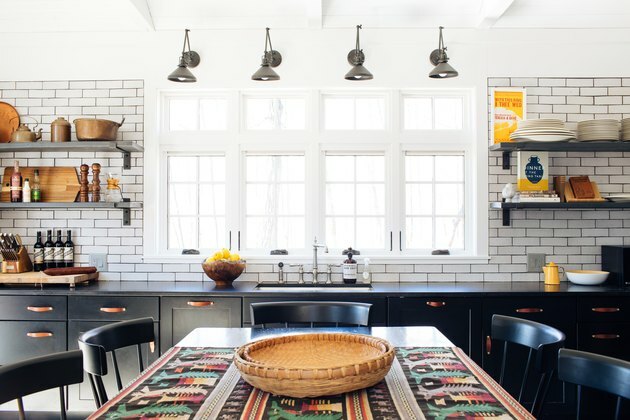 The kitchen in the new Hill House is outfitted with Fireclay tile, Kohler fixtures, and custom-designed decor from Milwaukee's La Lune Collection, plus Rejuvenation lighting. 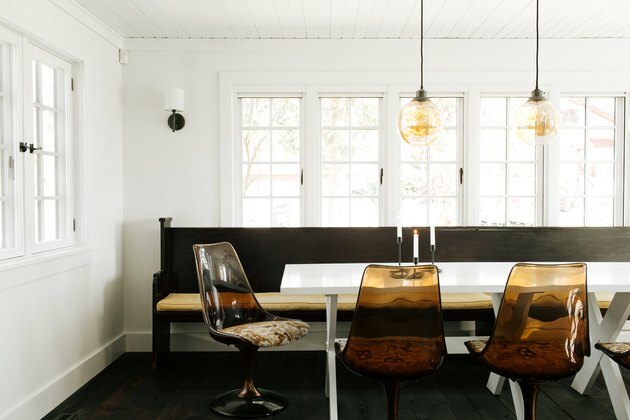 Lucite amber chairs, crisp white walls, and Edison-bulb pendants in the Hill House's dining area reflects Surratt's eclectic decorating style. 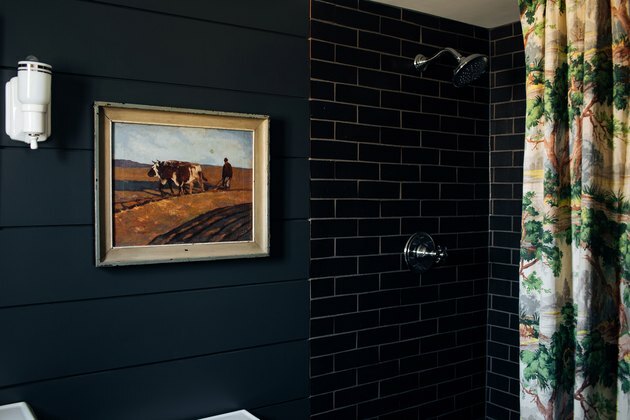 There's a whimsical yet preppy vibe to this bath, with a vintage landscape painting (featuring a cute cow) as well as cornflower-blue shiplap and espresso-black shower tiles. A tree-motif shower curtain completes the look. Minimal decor in the bedroom results in a calming aesthetic with white sheets and a headboard that evokes Asia's tropical climate. 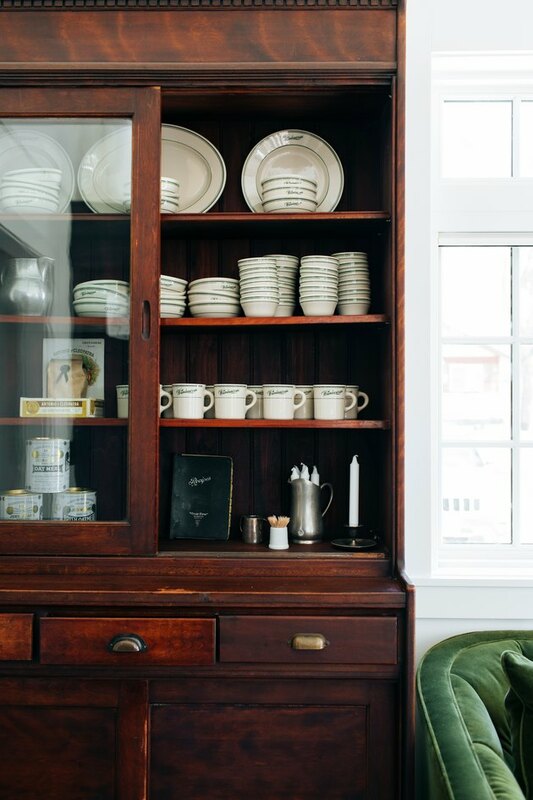 "It's almost like a national-park green," says Surratt, about the green accent on plates Homer Laughlin China Company created for Camp Wandawega. At one of Camp Wandawega's original accommodations, objects like colorful metal lanterns, striped wool blankets, and a gallery of art and found objects (including a wooden paddle) drive home the campy vibe. 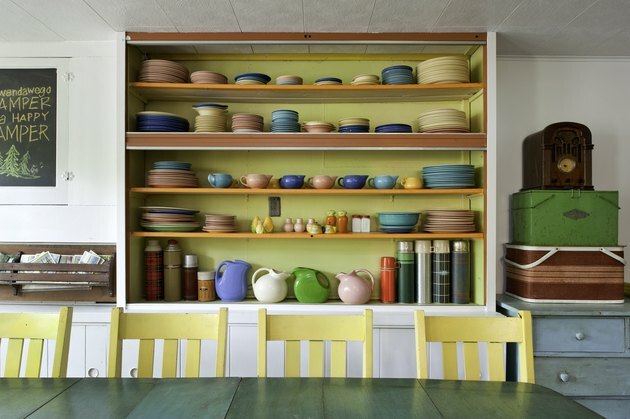 Cheery and bright, the breakfast room features sunny yellow chairs, a stack of colorful vintage lunch boxes atop an old dresser, and open shelving flaunting plates and other dinnerware in midcentury hues like rose and aqua. One of Camp Wandawega's original buildings is closely tied to the vision its owners still abide by today, which is a timeless camp setting on the water, including this forest-green paint trim and nautical decor (life preserver and wooden paddles). 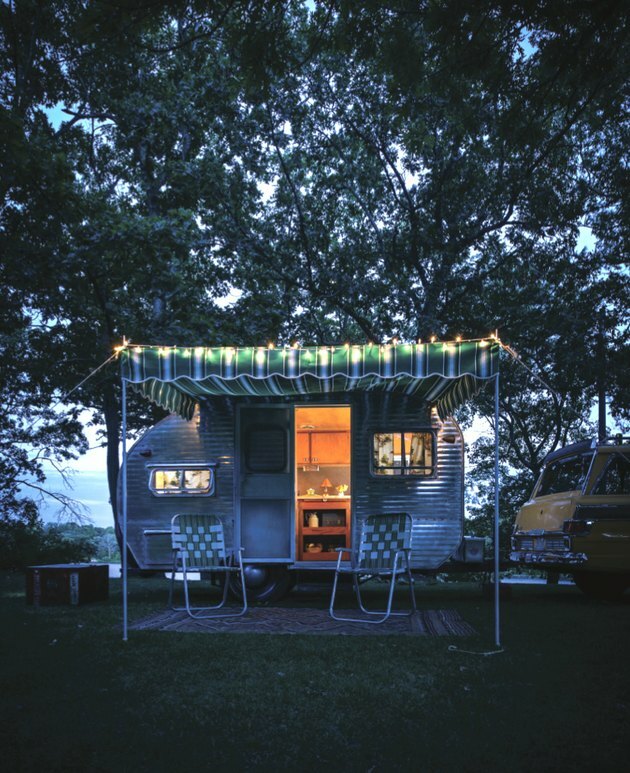 This teeny tiny camper has been repurposed as a chill hangout spot for guests at Camp Wandawega, complete with an awning that's strung with lights, accented by two retro folding aluminum chairs. 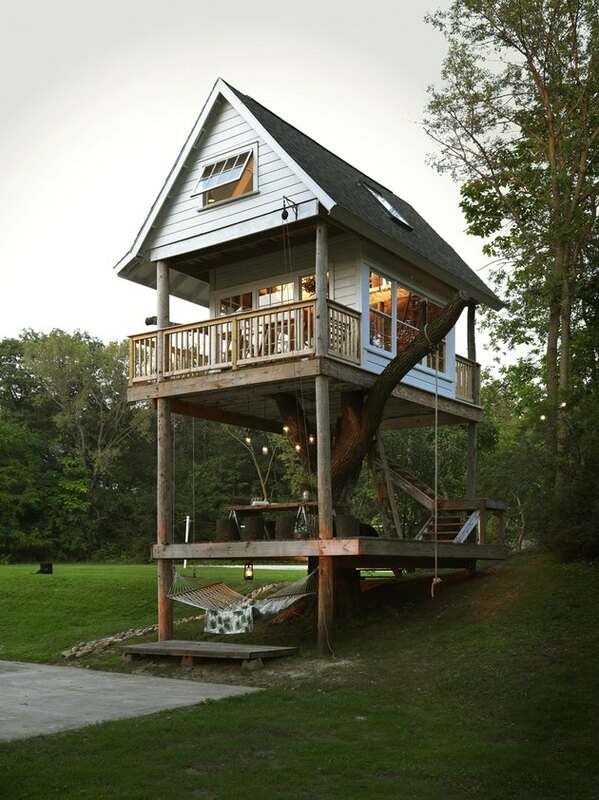 Serving as a common area for guests, Camp Wandawega's childlike (but artfully designed for grown-ups) treehouse is a sweet spot to simply chill, especially on cool and rainy days. 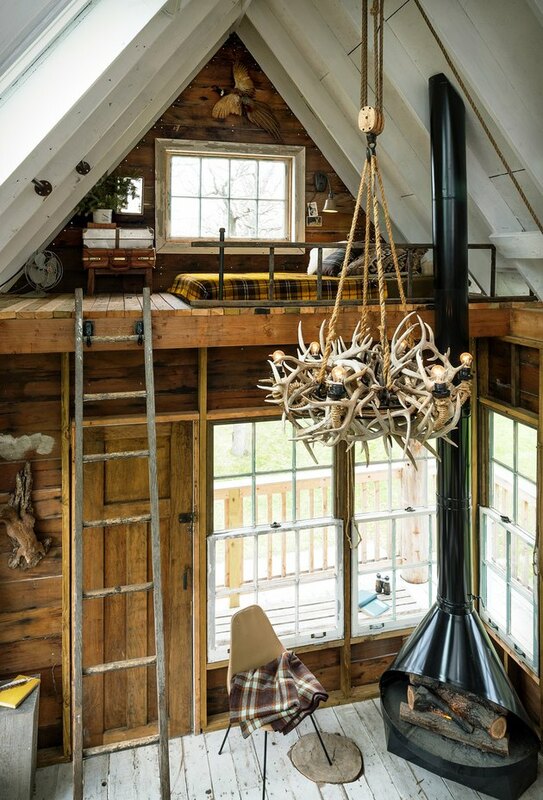 A wood-burning stove, a chandelier crafted from antlers, and a wooden ladder leading to a loft are part of the simple decor inside this whimsical treehouse, leaving the bones of the design to shine. Guests of all ages like to hang out in the property's two teepees. Another popular camp amenity? An archery range.